It seems like the floodgates are officially open with Star Wars Episode IX leaks, as another batch of set rumors and details are surfacing. It still seems likely that other locations aside from those two will appear in the film, but for the time being, the focus is on selling Episode IX merchandise that will seemingly look toward the new as opposed to the old. Meanwhile, other Star Wars merchandise will reportedly focus on the legacy characters. Originally referred to as “Force-wielding mercenaries” in certain documents, newer material seems to allude to these guys as a more vague “group with many special abilities” instead. 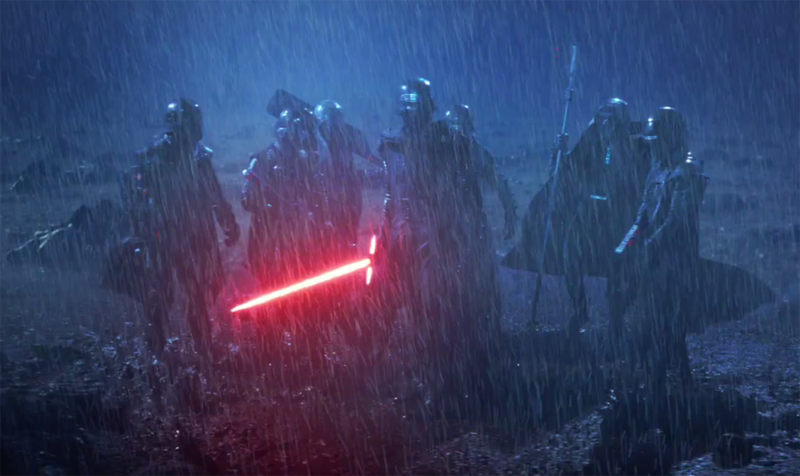 The Knights of Ren themselves seemingly answer to Kylo Ren and not the First Order itself, which would explain their absence from the main story of the past two movies and why they would come back into play after their boss staged a coup against the First Order’s leader. Speaking of Kylo Ren, there are some new details on his mask. The break itself isn’t uniform, which isn’t all that surprising considering how he smashed it into a thousand pieces during a particularly tense elevator ride. There seems to be a parallel in place with Rey repairing the Skywalker Lightsaber and Kylo Ren repairing his mask, as Rey is accepting her greater destiny while Kylo Ren continues to be defined by his own past and steadfast in his own goals. From what we’ve seen online thus far, the idea behind Kylo Ren repairing his mask seems to be something that splits the fans, but it’s likely that there will be plenty of scenes where he is using the mask and plenty where he isn’t wearing it. 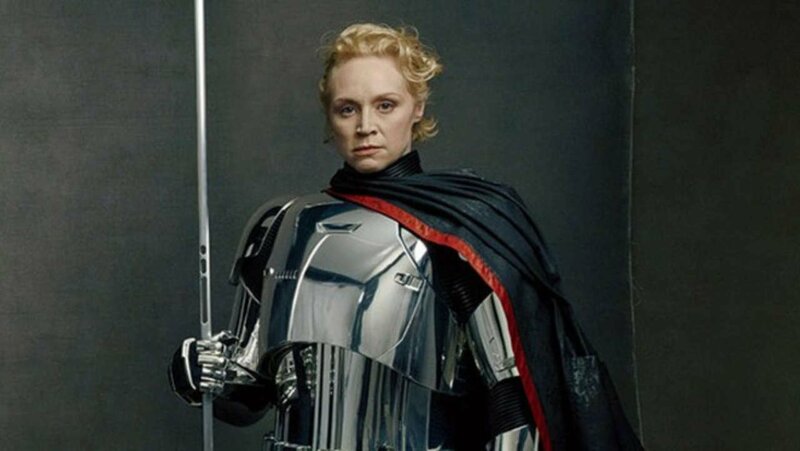 Those of you hoping that Captain Phasma would find her way out of trouble again in time for another confrontation with Finn should probably keep your expectations in check, as the team at MSW have not heard much on the front of Phasma-related merchandise as it relates to Episode IX. (Resistance merchandise is a different story.) With any luck, Phasma will probably end up being the Darth Maul of this trilogy in that she doesn’t get a lot of screentime, but other media set in the same time frame as The Force Awakens, The Last Jedi, and Episode IX will allow her to have a bigger part. They’re certainly playing up her role on Resistance. Also mysteriously missing from the merchandise-related information is “DJ”, although he effectively served his purpose in the narrative of The Last Jedi and likely wouldn’t have a major part to play in Episode IX (aside from, say, a scene where Lando guns him down as part of his entrance into the film). There doesn’t appear to be plans for new Porg-related merchandise, either, so expect rebranded merchandise from The Last Jedi to hit the shelves if that ends up happening. Based on what the people at MSW have found out about the Galaxy’s Edge theme park expansion and some other stuff, it seems like the Millennium Falcon‘s new radar dish (which replaces the old one destroyed on Crait) might just be a lot like the one it had in The Force Awakens and The Last Jedi. Going with a new one seems like an easy way to justify selling another expensive Millennium Falcon toy, but Lucasfilm may not be taking that route this time. 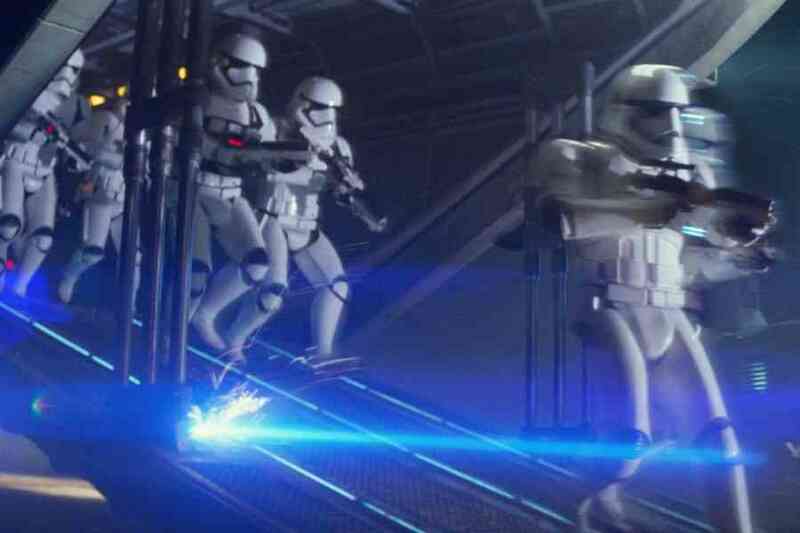 With another new movies comes the inevitability of more Stormtrooper variants, and apparently this time around, they’ll be rocking red armor with some black stripes on them. This is more than just a recolor, though, as this new type of First Order foot soldier has a distinct helmet from its run-of-the-mill counterparts. Details on Lando’s appearance in the film are as vague as ever, but one thing is clear between the contradictory decisions: he’s rocking one of his prized “custom piece” capes. The baron of smooth clearly hasn’t lost his touch with his old age, and that’s all we need to know. And that covers pretty much everything of note as it relates to Episode IX. While plot details are scarce, it seems like other details about the setting and the characters are more abundant than they have been with the other movies at this same point in time. Stay tuned to Star Wars News Net as we continue to cover the latest and greatest stories related to the Galaxy Far, Far Away.